#Diet Detective: Tell us how you got to where you are now. Lyssie: As a kid, I was very athletic and played soccer very competitively. I started to notice that what I ate really affected how much energy I had during my athletic training and during games. At home, my parents were concerned with health and we always ate very nutritious foods. However, when I would eat team breakfasts and there were foods like doughnuts and sugary foods that I never got to eat at home, I would love the sweets and I would eat them. These foods really made me feel awful and made me play even worse. When I realized this, my #nutrition journey began as I became very interested in the connection between the foods we ate and how it affects us. Early on, I knew I wanted to be a nutritionist. I graduated college from the University of Maryland with a bachelor’s degree in Nutrition and Dietetics. I then went to Meredith College in North Carolina for my nutrition residency and then passed the boards to become a registered dietitian (RD). After graduation from Meredith College, I called my identical twin sister, Tammy, who was completing her nutrition residency at Emory and I told her I was starting my own private nutrition practice and wanted to know if she was “in” or “out.” She agreed to start our business together — and we formed our company, Healthy Happenings Inc., in Atlanta. We started out providing nutrition counseling for many athletes and weight loss clients and developed 10–week Weight Management, General Nutrition, Heart Healthy and Sports Nutrition Programs and taught them daily, year–round at Ford Motors. Before long we were teaching our programs at other corporations like Turner Entertainment and Lucent Technologies, too. For personal reasons we moved to New York City. It was here things really started to happen for us. We trademarked ourselves as The Nutrition Twins™ and in the meantime, fell into the media and started doing regular TV appearances as the featured nutrition experts for different TV stations. Shortly after that, we decided to write a weight loss book and got offered a book deal for our book, Fire Up Your Metabolism: 9 Proven Principles For Burning Fat and Losing Weight Forever (Simon and Schuster, 2004). Tammy and I actually tested our nine principles in our book on ourselves. We would flip a coin, and the loser of the coin toss would have to not practice one of our proven principles for firing up the metabolism. We would then measure the effect on body fat and on energy levels. It was torturous for us when we lost the coin flips as we felt lousy. We were not pleased to watch our body fat go up when we didn’t eat the way we like to. Since our book has come out, we have had many more television appearances and have been sought after by many popular magazines, which has been nice. We are lucky because we love what we do and are still having a lot of fun doing it! Lyssie: Honestly, failure is not a word I ever think about. In my mind, if you try something as best as you can and it does not work out the way that you would like, it is not failure since it has been a learning experience. So, I guess, in my mind failure can be defined as not making an effort to achieve a goal. Lyssie: Honestly, not too much. I am a lot the way I have always been. Diet Detective: What’s the next major item on your “to–do” list? Lyssie: I think individual responsibility boils down to making sure that you hold yourself accountable for actions that you take. In my case, my individual responsibility is to 1) treat others the way I would like to be treated (with the utmost respect) and 2) to conduct a high quality business. If you hold yourself responsible for your actions, that is individual responsibility. Lyssie: The day I met my literary agent, Laura Dail, in my gym. It was three days after I had made a New Year’s Resolution to write a book. Laura has had an amazing impact on my life and my career and helped me (and Tammy) to become published authors. Lyssie: Moving from North Carolina to Atlanta to start my own private practice right after finishing school was one of the biggest chances I have taken. Lyssie: The biggest lesson I have learned about myself is that if I put my mind to something, I know I can do it. The biggest lesson I haven’t learned is how to say “no.” I have a tendency to take on the world because I don’t want to have to say no to anyone. Lyssie: I think I stay motivated because I am passionate about what I do. I know that my knowledge and the ability to share it can really help people to improve their health and their overall life. Lyssie: I always allow myself to eat small portions of my favorite foods that aren’t as healthy — that way I never feel deprived and it is easy to stay on track. Diet Detective: If you could eat one forbidden #food whenever you wanted without gaining weight, what would it be? Lyssie: Frozen fudge pops or frozen yogurt. Lyssie: I guess I have lucked out because I can’t say I dream about desserts. Maybe because I don’t deny myself of them, I just have small portions of my desired treats. Lyssie: Gosh, that’s tough, there are so many that I would want to eat every day. I guess I would say either red cabbage, spinach or an orange. Lyssie: Including foods that they like is critical to success. Lyssie: They have come after years of nutritional schooling in addition to seeing what works for me and my clients. Diet Detective: Do you think that failed attempts have influenced you approach to dieting? How have past struggles helped you find a system that works for you? Lyssie: I think everyone has witnessed the impact on how they feel or look after eating certain foods. In the past, I have eaten in ways that either made me feel lousy or that made me not happy with the way I looked, and I have learned not to eat in that manner again. Lyssie: I personally am extremely active, and although I eat very healthfully, I do eat a lot of food. If I have an injury or have to cut back on exercising, I will have to reduce the amount of food that I eat, or I will gain weight. Lyssie: I am a little biased with this question because I know the huge amounts of blood, sweat and tears that went into my book, Fire Up Your Metabolism. But that is the book I would nominate! Lyssie: I really like Self and Men’s Health. 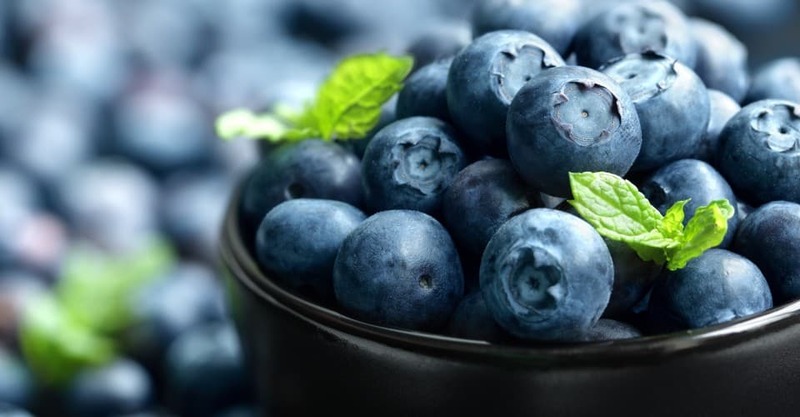 Lyssie: I don’t think one food is perfect at all as no food contains all the nutrients that we need to survive healthfully, but I really think spinach and blueberries have a lot of health attributes. Lyssie: I run and bike six days a week and I lift weight for an hour five days a week. On top of that, I love taking walks on nice days. Lyssie: I love heating up spinach in a pot, adding tomato sauce and a little grated parmesan cheese — It tastes just like lasagna! Lyssie: One of my favorite calorie bargains is fudge pops. I can have one pop for 30 calories versus my old favorite frozen yogurt which was at least 100 calories per ½ cup serving. This saves 70 calories a day, 490 calories a week, and 26,000 calories a year — or 7 pounds of weight!